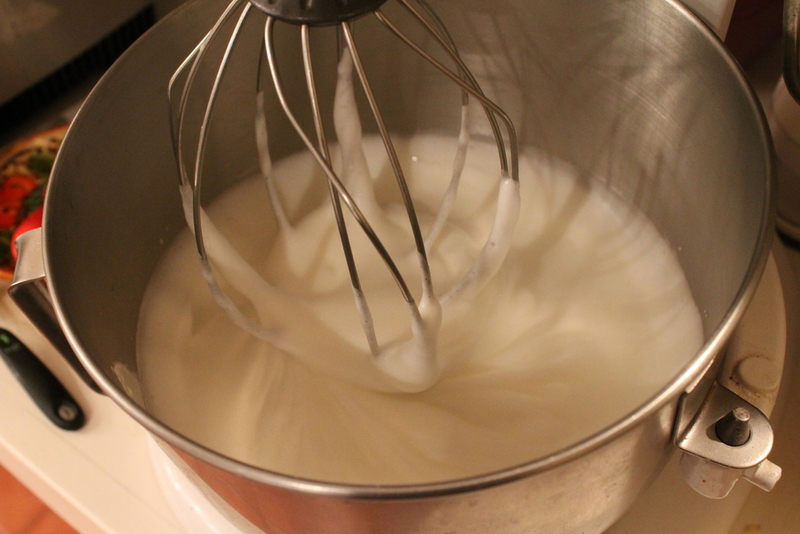 In mixer, beat egg whites and cream of tartar until soft peak stage. 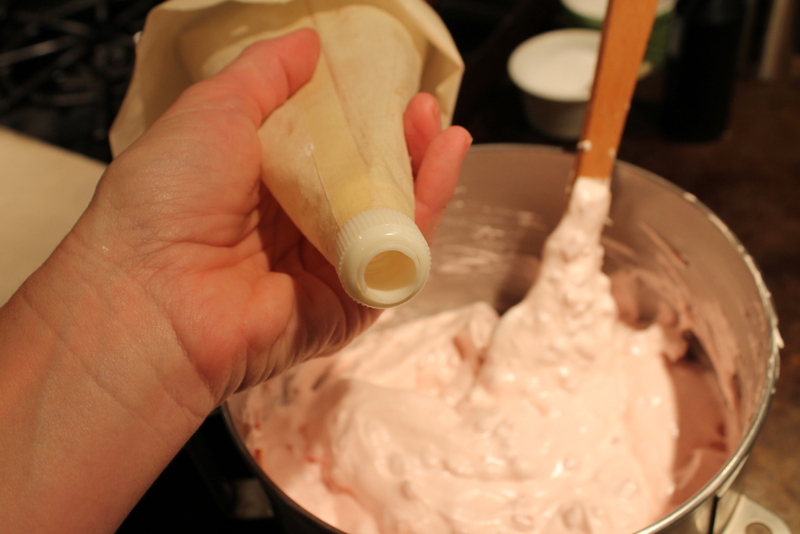 Add the peppermint extract and sugar, ½ cup at a time. 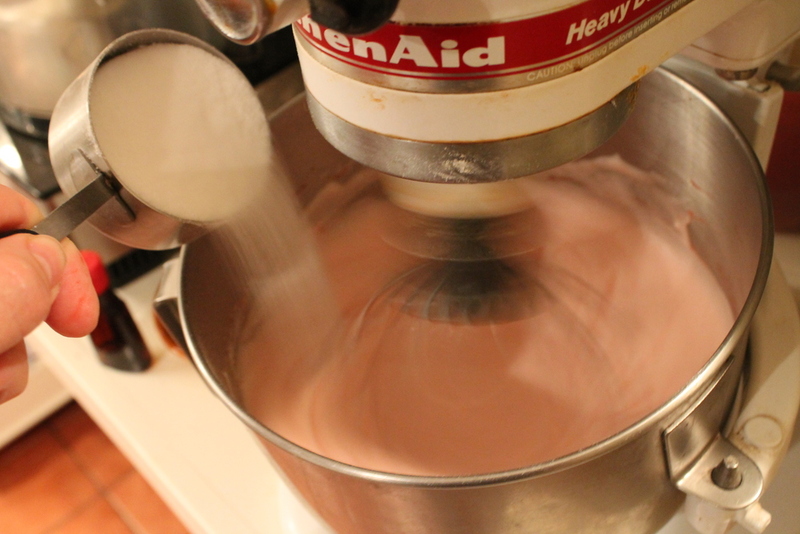 Now add the red food coloring to desired color. Beat on high until stiff and glossy. 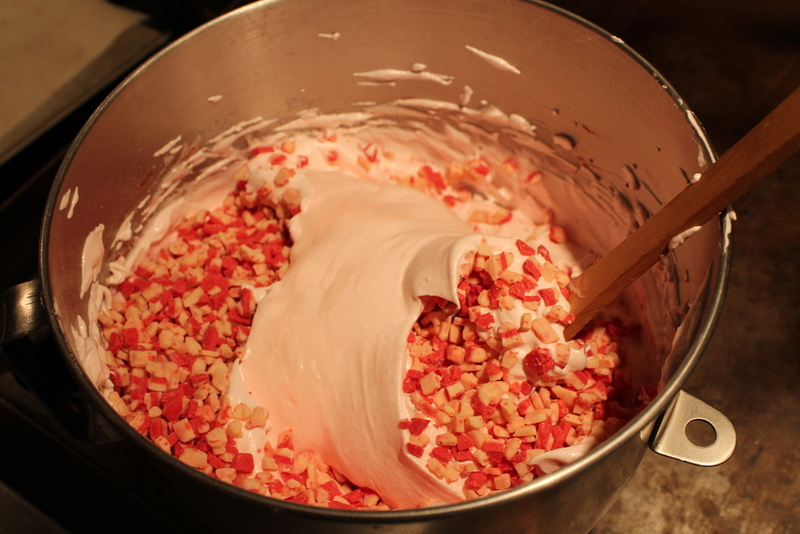 Fold in the peppermint chips. 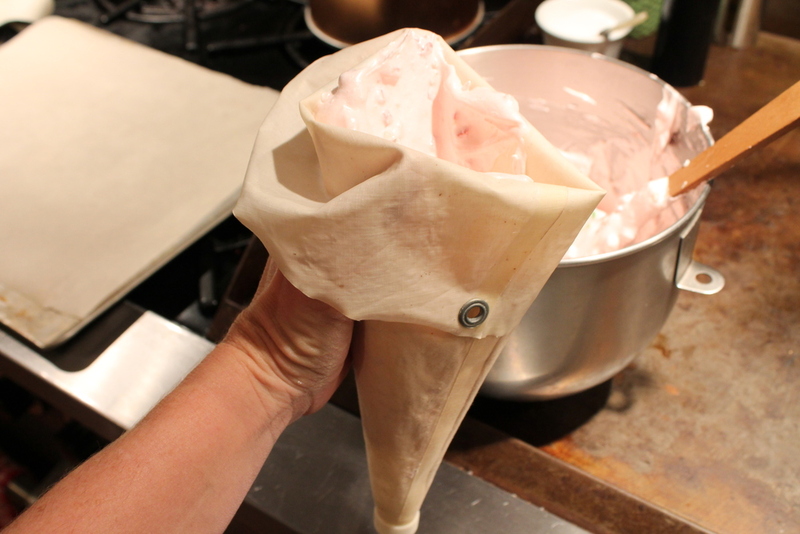 Add the meringue to a piping bag. If you don't have one, a zip top bag with a small piece of the corner cut off will work. Don't use any kind of tip because the chips will get clogged and nothing will come out. 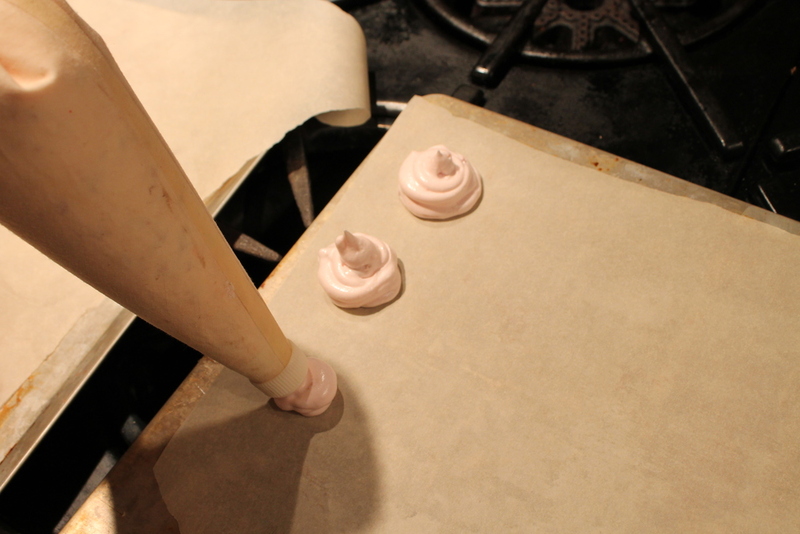 Pipe the meringue onto parchment paper covered cookie sheets in desired size. I like to make mine about the size of a walnut so you can just pop them into your mouth. Bake in a 250 degree oven for 2 hours. They should just be barely starting to brown when you take them out, so if your oven is a little hot, check them after about 1 1/2 hours. Set them aside to cool. While they are cooling, melt about a 1/2 cup chocolate chips in the microwave 30 seconds at a time, stirring after each time, until they are melted. 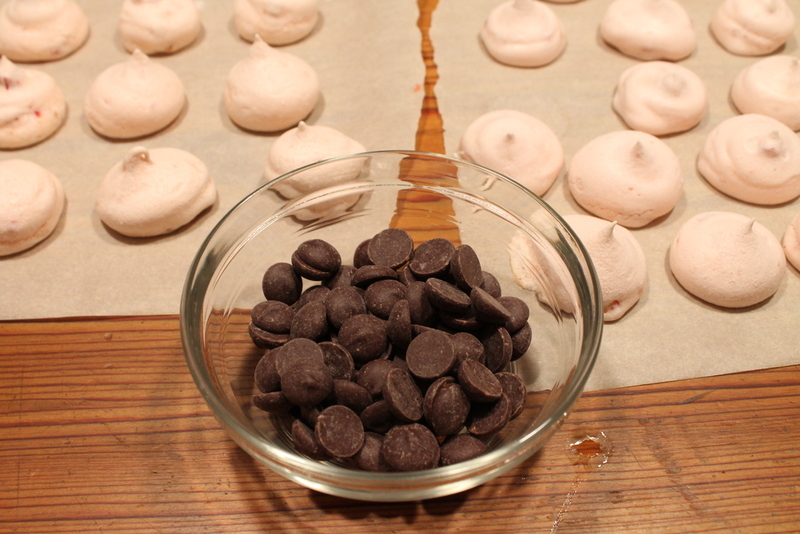 Dip each meringue into the melted chocolate to cover the bottom then set back on the parchment paper until the chocolate hardens. If you like a little less chocolate you can just drizzle the melted chocolate over the top. I usually do about half of mine this way. 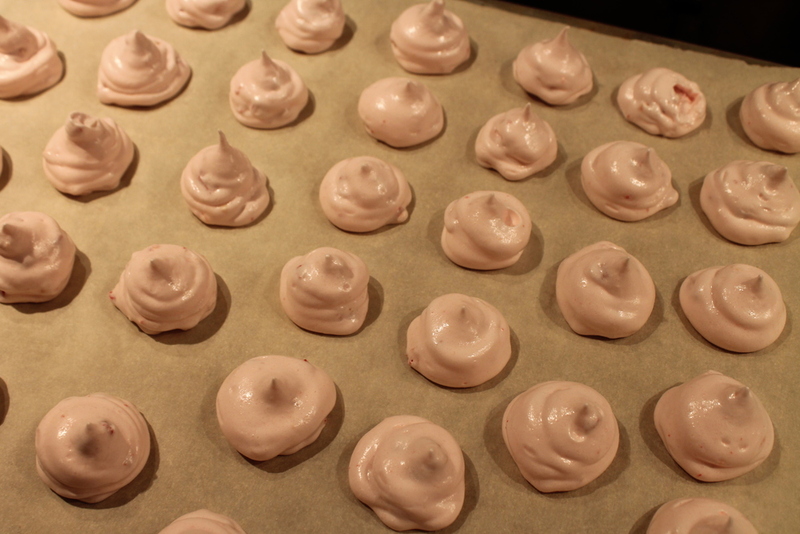 Depending on the size you make, you should end up with 7-10 dozen meringues. It's a lot, but they are so light that people usually eat more than one. These will keep for a couple of weeks if you store them in an air tight container. Don't these just look like Christmas? 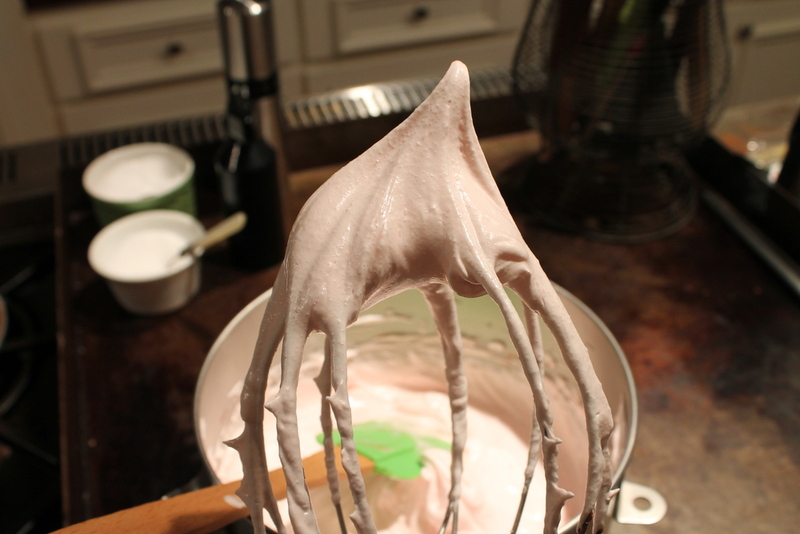 Posted in In The Kitchen and tagged with Chocolate Dipped Peppermint Meringues.